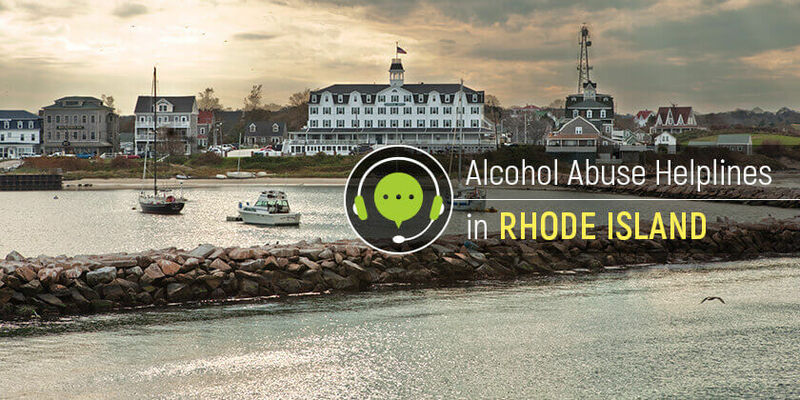 Alcohol addiction in Rhode Island can be controlled with the available resources as well as prevention and treatment services available in the state. Call these alcohol treatment hotlines to access these services. National Alliance on Mental Illness (NAMI) Rhode Island operates Monday to Friday, 10 AM to 6 PM, and provides callers with resources and information about alcohol treatment services. NAMI-Rhode Island makes referrals to treatment and prevention programs, as well as support groups in the state. Call the alcohol crisis hotline at 1-800-273-8255 to speak with a qualified specialist and have questions answered. Callers can also reach the NAMI Information Line at (800) 950-NAMI (6264) to receive information and treatment referrals for alcohol addiction. The National Council on Alcohol and Drug Dependence Hopeline offers treatment counseling services to callers seeking treatment for alcohol addiction and substance abuse disorders. The national abuse hotline also connects these clients to the public or private programs in the state. Call this national alcohol abuse hotline on 1-800-622-2255. Help is not far away from Rhode Island residents struggling with alcohol abuse. Call these alcohol hotlines free to find help nearby.